Imagine not being able to pick up a pen that fell from your hand, forgetting to turn on lights that are 10 feet away and you are nestled nicely in bed or needing to call 911 to have someone help you back into your chair after falling to the floor. These are all realities that people with disabilities face daily. Now imagine having a dog that can help you in all those instances. Not having to impose on someone else means independence. 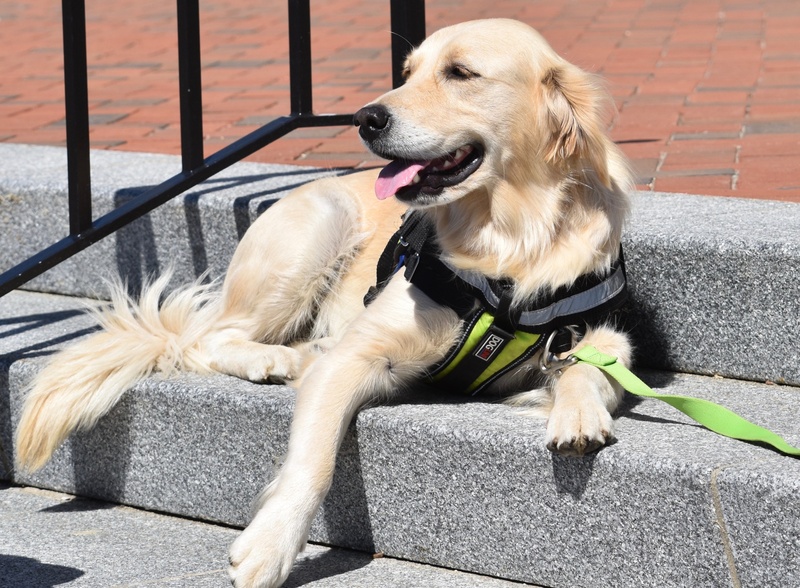 Our service dogs are partnered with children and adults with physical and psychiatric disabilities to assist with daily tasks. Please help us continue to do the great work we are doing with these amazing animals. 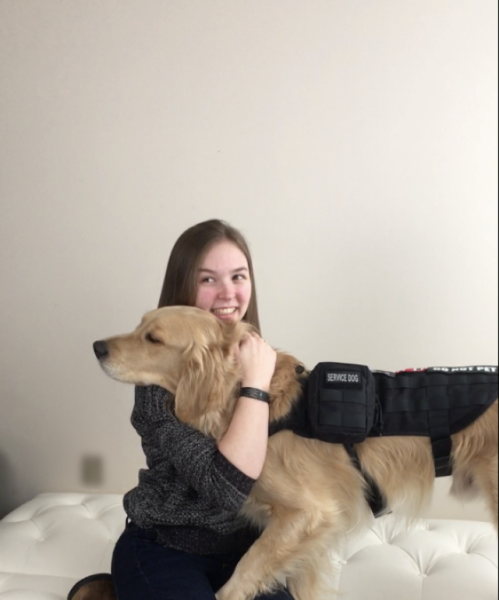 GOFI focuses on providing dogs to disabled handlers on an as need basis with assistance in fundraising, as many of these people are already struggling with medical bills. The cost of breeding and training a service dog can cost between $35,000 - $45,000 depending on the level of assistance a recipient needs. Please consider donating to our working dogs above. 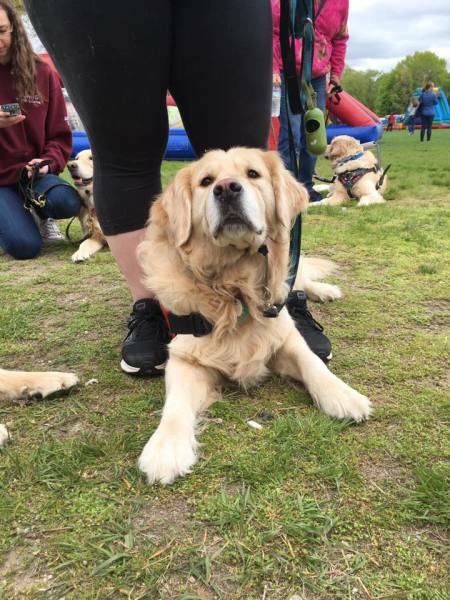 Established in 2015, Golden Opportunities has graduated many working teams of handlers and service dogs. Here are just a few of their stories. Gordy is a PTSD dog for a recipient that chooses to be anonymous, like many people with PTSD resort to, considering themselves weak. Gordy's recipient is a witness of the Boston Bombing and got PTSD from the experience. 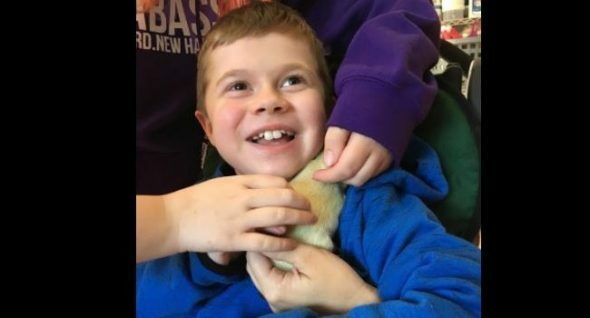 Nowadays, Gordy helps his recipient cope with episodes, as well as accompanies her to school, where she teaches and Gordy helps with the special needs children. Support Caitlin and Josie Here! Animal assisted therapy is a goal directed intervention that integrates an animal into the treatment process. 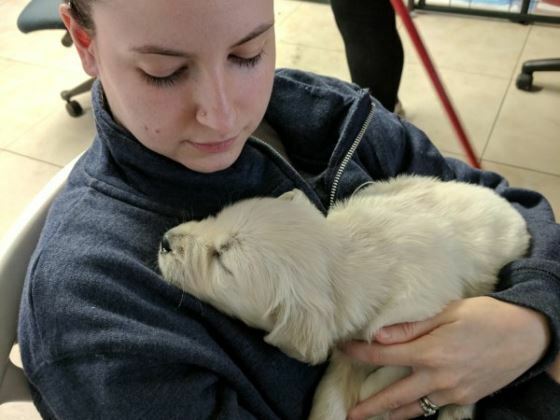 Our facility is used by therapists to work one on one with clients in a relaxing atmosphere in which the dogs are able to provide improved physical, emotional, and/or cognitive function. Our dogs are also available for children to take to their therapy visits or for court dates. We are presently fundraising to make this area more inviting to patients and assist with their needs for comfort and safety. Help us make our tharapy room more inviting for children to have therapy sessions with our dogs. 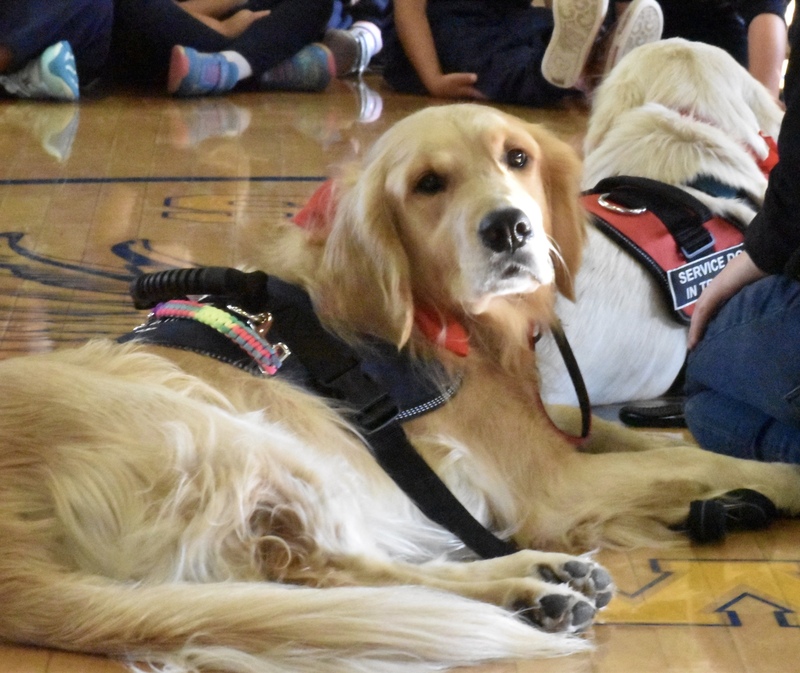 Meet Our Working School Resource Dogs! Meet Rebel and Officer Hart! 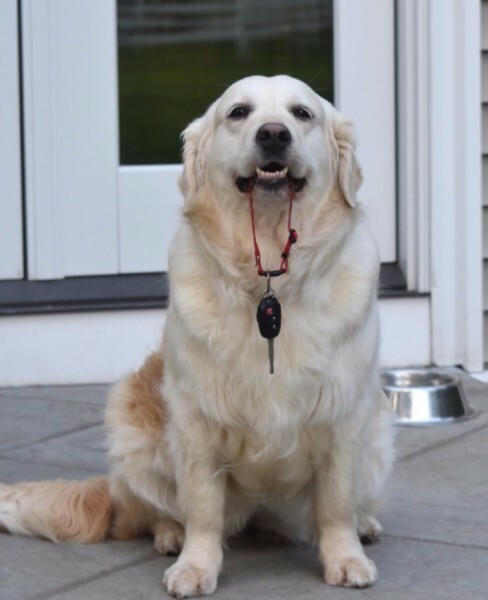 Rebel is training to be a facility dog for both Walpole Public Schools and all other nearby schools in Massachusetts. Rebel, the runt of the litter she was born in, will train to help students all over the area deal with the stress and anxiety of school life. 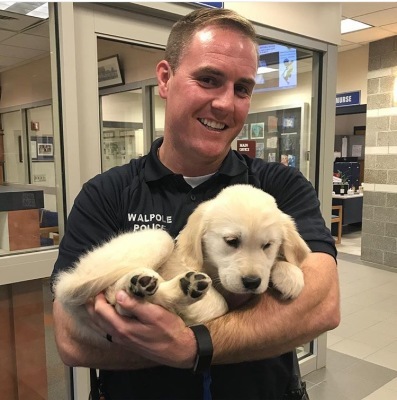 Officer Hart, Walpole High Schools Resource Police Officer, has been taking Rebel around to different schools as well as training sessions, along with his co-puppy raiser Rachel Jackson, Walpole Highs school nurse, in order to condition and desensitize Rebel to the hectic school environment as well as comfort the students who are struggling to get through their stressful days.